Wedding DJ or band? In Chicago, you've actually got 5 options. "Band or DJ for your wedding?" It's the first question you might get asked as you start to think about your wedding entertainment. 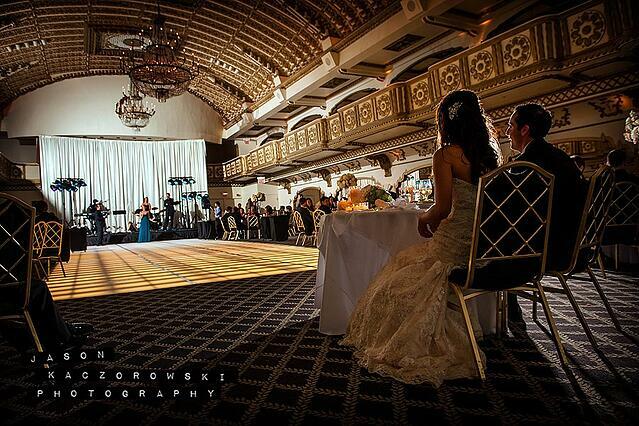 I've been a musician, a wedding band leader and a DJ in Chicago's wedding scene since 2003. Apart from an intimate knowledge of every hotel loading dock and country club kitchen in the city, it's given me a decent working knowledge of what your choices really are. 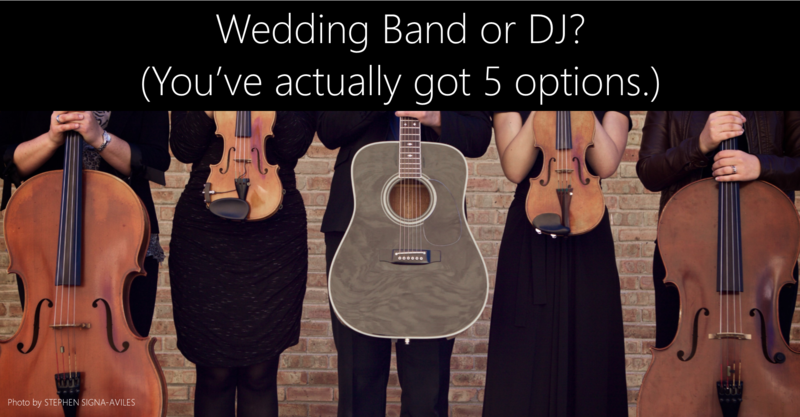 If you want a professional DJ or band for wedding entertainment, there are actually 5 different options you could take. A great DJ gets you the most musical choice from the fewest people - although the most competent DJs will still work as a team, bringing at least one assistant. Like any entertainment choice, DJs will vary widely in experience and skill level - but most have some competency in handling sound equipment and planning and coordinating your agenda as well as literally playing the tunes. There's no wedding too big or too small, to crazy or too mellow, for a qualified DJ. And he or she can play your entire wedding, from ceremony to cocktails to all kinds of dance-floor music. Ensembles of 2, 3 or 4 musicians are typically too small to rock your dance floor - they usually don't cover the variety of music your guests want to dance to, and they won't necessarily include a vocalist. If you're looking for background music for a brunch reception or a garden affair, though, a small ensemble is far more compelling for your guests than a pair of DJ speakers tucked into a corner. Small ensembles run the gamut, from jazz and string ensembles to more specialized groups like mariachi, klezmer or - in my company's case - instrumental pop. Just ask about ways to vary the sound every hour or two if you're planning a longer affair. And don't expect a crazy dance party. 3. The wedding dance band. A dance band is a whole different animal from a small musical ensemble. Your dance band fills the same need as your DJ, playing upbeat and familiar dance music to get your guests moving. They'll typically provide their own sound reinforcement like a DJ, and some - though not all - will be able to provide MC services like a DJ would. Covering enough styles of music to keep your guests dancing usually requires a larger group, including both male and female vocalists. Wedding dance bands in Chicago often start at 6 or 7 members - and a "dance orchestra," with horns or strings as well as rock instruments, may have 12 players or more. You'll need more physical space - and more cash - for a band, and your musical choices will be wide but not totally unlimited. But if you want your party to make an impression, that'll all be worth it to you. A final note: There's a big difference between a band and a wedding band. If the group you're talking to doesn't specifically focus on formal events and understand all that entails - keep looking. 4. The "DJ plus small ensemble" combo. 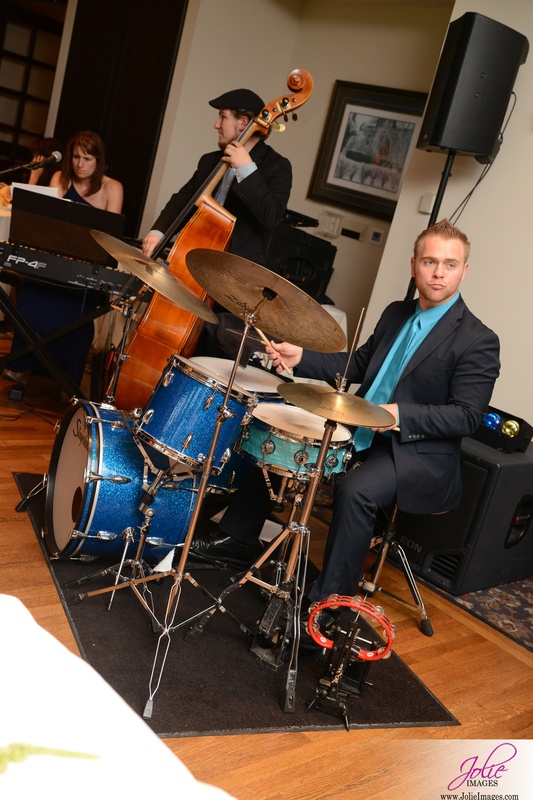 At Backthird Entertainment, many of our clients choose to team their DJ with a jazz group or a pop strings group. This means you'll get live music for your ceremony, cocktail hour or dinner - or all three - but you'll still have a DJ to serve as MC and rock the dance floor later in the night. If you love the magic of live music but still see yourself dancing to a DJ later in the evening, this is the route for you. And there are lots of different ways to customize your combo to suit your vision - here are 5 ideas to get you started. 5. The "band plus DJ" combo. Can't decide between DJ or band for wedding music? If you want a dance band or dance orchestra like in option 3 above, but you still want to keep the versatility or "club vibe" of a DJ, this combo approach might be the ticket. You should still expect the band to play most of your night. The DJ will either "fill in the breaks," playing additional dance music while your band rests up every hour or so, or he will stay late to create an "after party" vibe at your reception. Many reputable Chicago dance bands can include a DJ for a little more money. Just make sure you love the band first and foremost, because even with this "combo" approach that's definitely where most of your budget - and reception time - is going. With this approach your DJ is an extra, but the band is the main event. So what does it all cost? 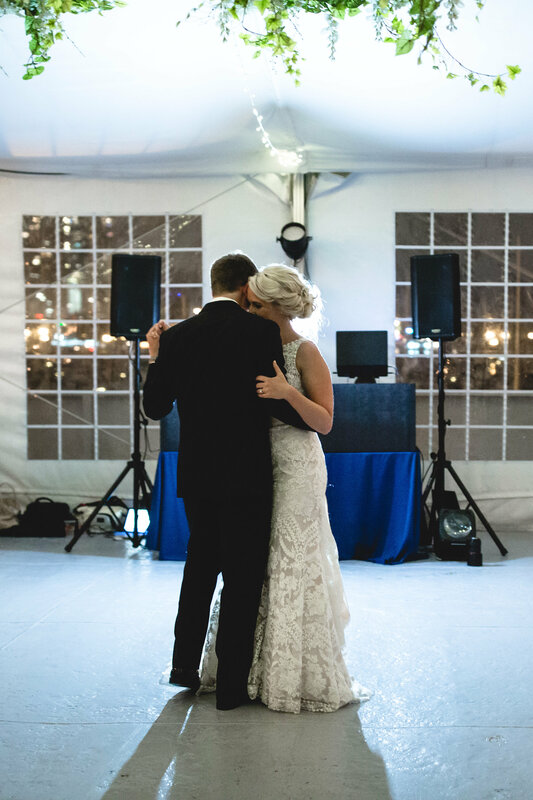 Budget is one major factor in the "wedding DJ or band" conversation - so I broke down the pricing differences between each approach above in this pricing article. You can also see real wedding plans and prices right now for 7 of my company's clients by following the link below.